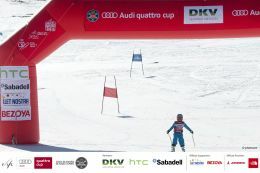 Since the Audi quattro Cup race schedule did not coincide with the date set for World Snow Day, we hosted an open, mock Audi quattro Cup, letting children with recreational skiing backgrounds pretend they were hard tested competitors. Since times didn’t matter, the kids were able to have fun and ski down slopes in a way they never had before. In order to bring kids to the snow, we offered a variety of services on and off the slopes. 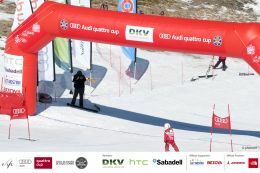 This not only had the effect of engaging kids with the snow, but had the added benefit of bringing Audi quttro Cup and FIS events to a greater audience.